Is A3 Right For You? Your Agency has a unique; personnel mix, Personal/Commercial lines breakdown, policy procedure, software, geography, legacy and more. These variables come together to make your Agency what it is. You have strengths that other agency’s lack. You have processes that can be improved. There are untapped opportunities waiting. We listen for your uniqueness and then explore a better future together. We will walk with you to discover your Agency’s Strength and latent opportunities with the Agency Profitability Grader. We’ll offer free consulting with our Profitability Assessment and show you how you stack up against Agencies of a similar size. We’ll present you with concrete data on how you can improve both your top and bottom lines with software integrations and automation. One size never fits all. Your Unique Agency requires a unique solution. We will present you with a custom proposal clearly detailing which software solutions we recommend for your Agency. We’ll be up front with the total cost of the software so you can make the best decision for you and your Agency. 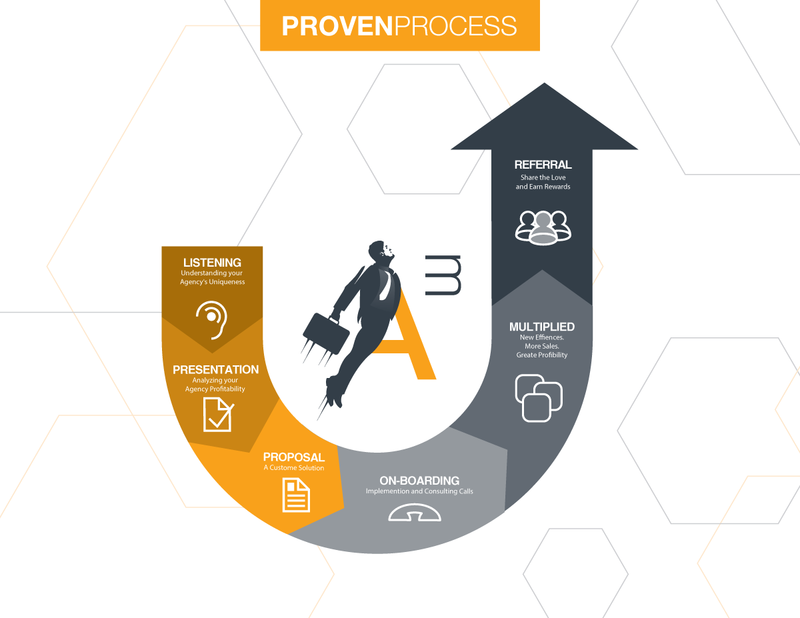 Our proven onboarding process is a smooth as silk. We work hard to ensure our Agency Profitability Plugin is properly installed on your Agency’s site. You receive individual attention throughout the on-boarding process with your very own profitability consultant. You and your staff will receive all the training you need to maximize our powerful software. New Efficiencies. 24/7 Sales. More Profitable than ever. By eliminating hundreds of steps and quotes/binding/recording policies automatically around the clock, our clients see greater profitability in the first month (some as much as 30%). We continue to walk with you after things are humming along to ensure everything is fully optimized. This is the fun part, this is Your Agency Multiplied. With dual-rewards you and your contacts both earn rewards as you share. This double incentive is our way of saying thank you to our valued customers. This additional revenue stream is the proverbial cherry-on-top for your Agency’s Profitability. With real time updating you can track your rewards and cash checks with ease. See how easy it is to generate rewards. © 2019 Agency Multiplied, Inc. All rights reserved.